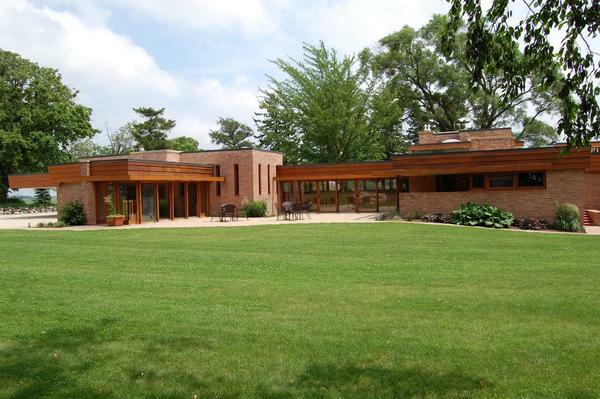 Through the generosity of Mike and Sarah (Muirhead) Petersdorf, the Central Music Boosters will again be coordinating a tour of the Frank Lloyd Wright designed Muirhead Farmhouse. Located in a rural setting just northwest of Chicago, the Frank Lloyd Wright-designed Muirhead Farmhouse is the only known farmhouse designed and built by Wright during his lifetime. The 3,200 sq. ft. home, an example of Wright’s Usonian architecture, was built in the early 1950s. Designed by Wright in 1950 and constructed between 1951 and 1953, the Farmhouse underwent an extensive restoration in 2003 and remains in the care of the Muirhead family. The property is now surrounded by nearly 800 acres of restored prairie.The Farmhouse was added to the National Register of Historic Places in 2016. For more information on the Muirhead Farm House, go to muirheadfarmhouse.com.